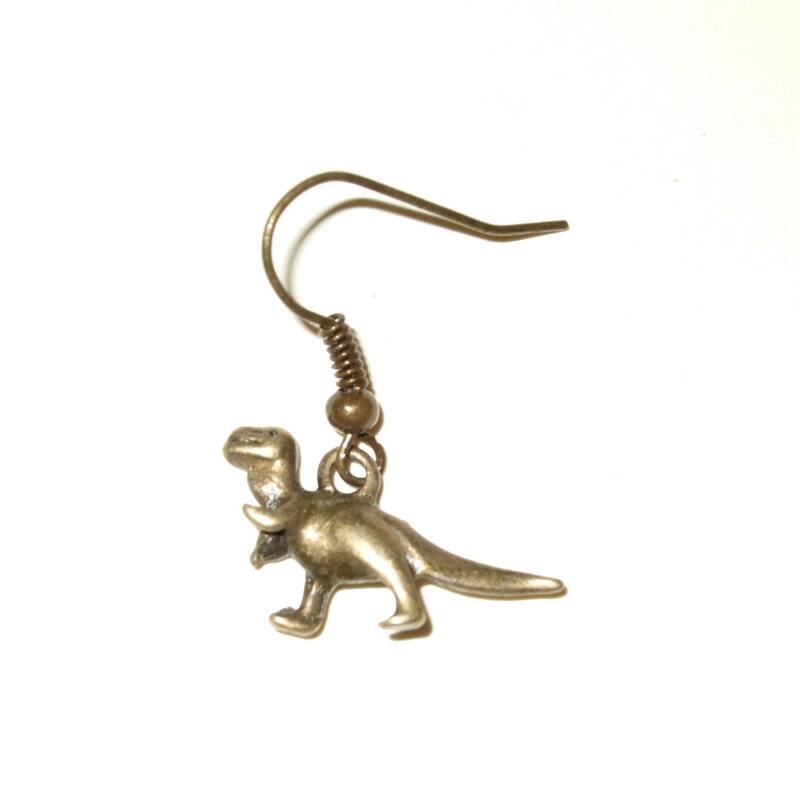 Tiny little dinosaur drop earrings - simple, quirky and cute. 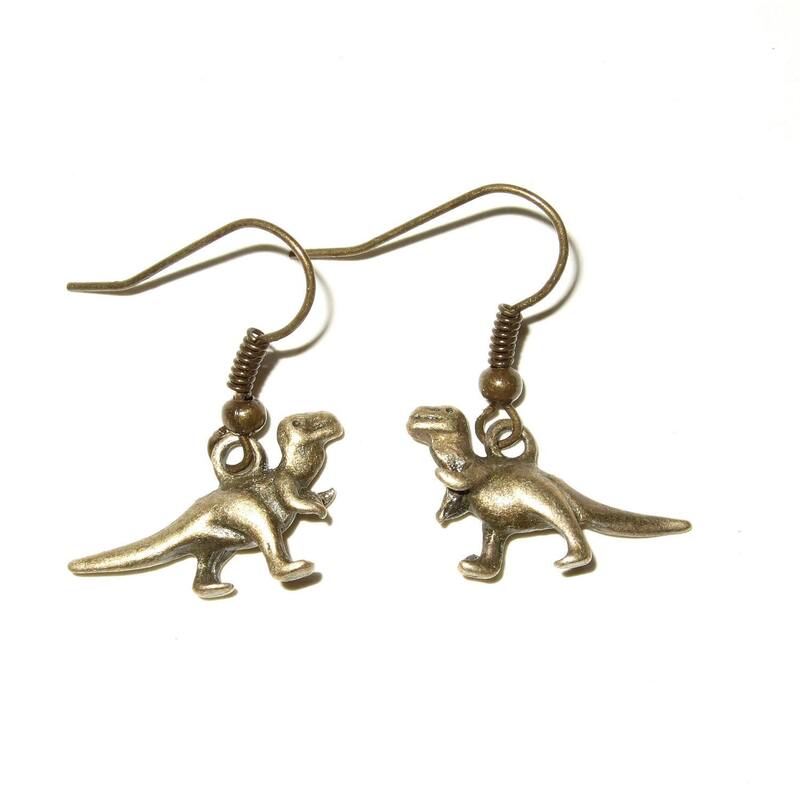 The drop from the top of the earwire is just over 1"/2.5cm, and the dinos themselves are around 0.5"/1.25cm tall and 0.75"/1.75cm wide. 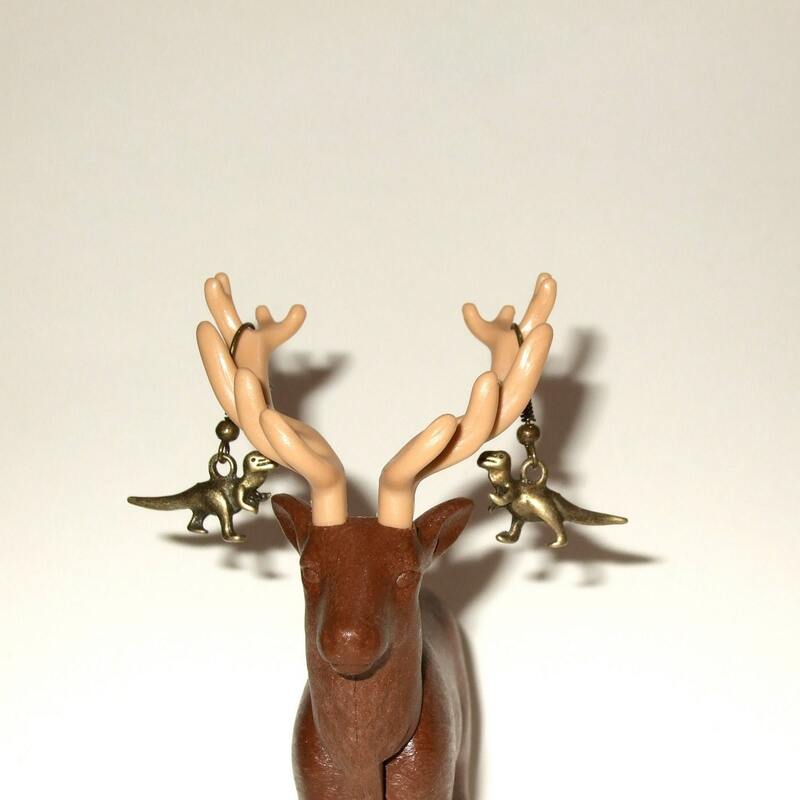 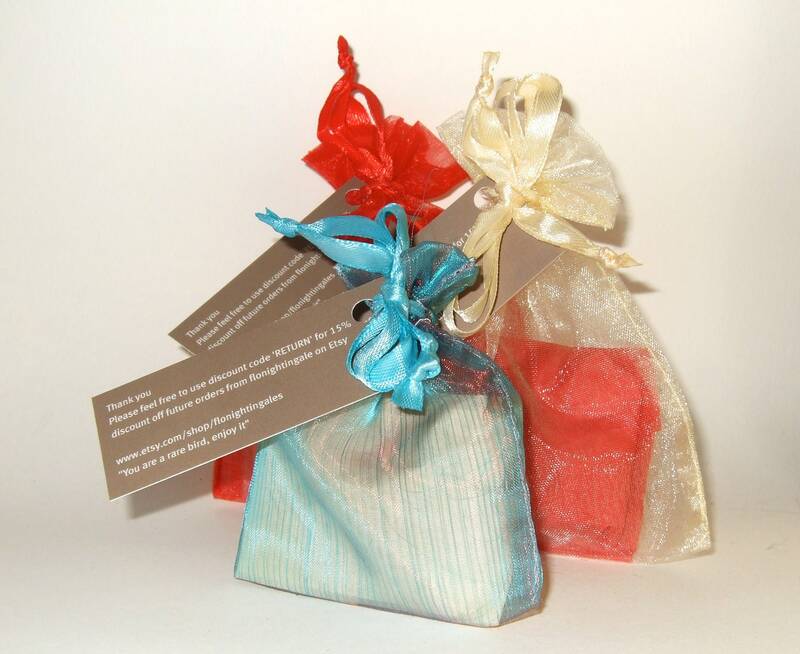 The earwires are lead and nickel free.